Quick, simple & tasty salad for any kind of party. Boil & drain the Pasta according to the instructions on the packet. Add 1 tsp Olive Oil. Mix well & keep aside to cool. 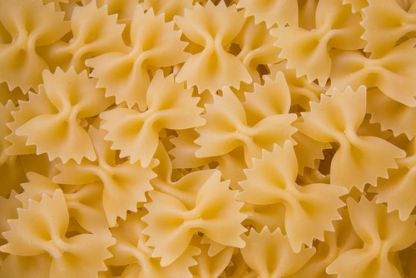 Adding Oil prevents pasta from sticking to each other. In a serving bowl take all the ingredients & mix well. Add the cooled Pasta & mix well until all the pasta is well coated. Mix gently, do not break the pasta. Cover with a cling film(plastic wrap) & refrigerator for 1 hr. This Salad can also be served without refrigerating. Mix everything & keep aside for 15 minutes & serve.